$2.28 million, Red Rock Country Club in Summerlin, 5,555 square feet, 5 bedrooms, 4.5 bathrooms, custom iron railings, marble and wood floors, extensive stone and millwork, Viking appliances and remote shades in this luxury golf course home. $1.18 million, Summerlin Real Estate, 4,586 square feet, 3 bedrooms, 3.5 bathrooms, guard gated golf course home, highly upgraded, grand entry, courtyard with waterfall. $1.35 million, Red Rock Country Club in Summerlin, 5,037 square feet, 5 bedrooms, 5.5 baths, and mountain views, custom cabinetry, infinity edge pool, mahogany wood and travertine floors. $2.5 million, Canyon Gate Country Club luxury home, 7,876 square feet, 5 bedrooms, 5.5 baths, three-fourths acre, casita, fairway golf course views, five-car garage and pool. $1.55 million, Spanish Trail Las Vegas, 5,507 square feet, 5 bedrooms, 5.5 baths, balcony with view and a stone waterfall. 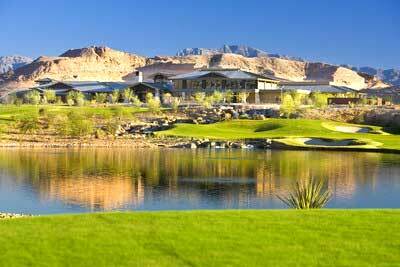 $1.04 million, Red Rock Country Club, 3,638 square feet, 4 bedrooms, 4.5 baths, built-in barbecue, palapa hut and pool. $1.2 million, Southern Highlands Las Vegas, 3,220 square feet, 2 bedrooms, 3.5 baths, courtyard entry, professionally decorated and former model home, second-floor game room, golf and Strip views. $1.08 million, Southern Highlands Real Estate, 3,936 square feet, 3 bedrooms, 3.5 baths, golf course home with view of 5th green, exterior stone, crown molding, custom wood entry, luxurious pool and spa.